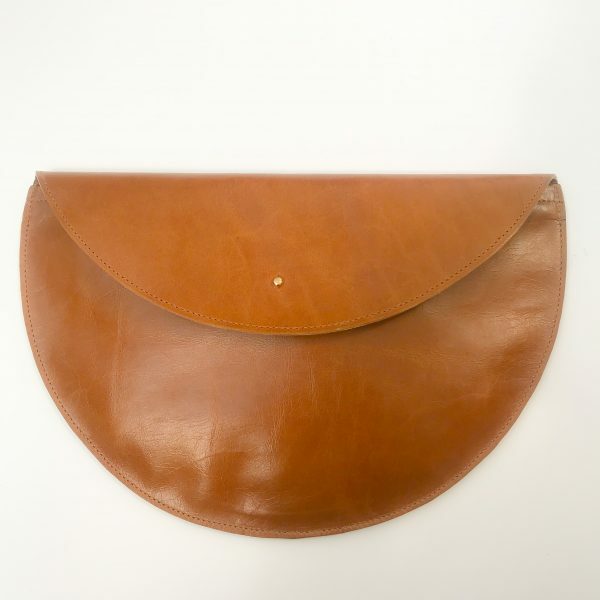 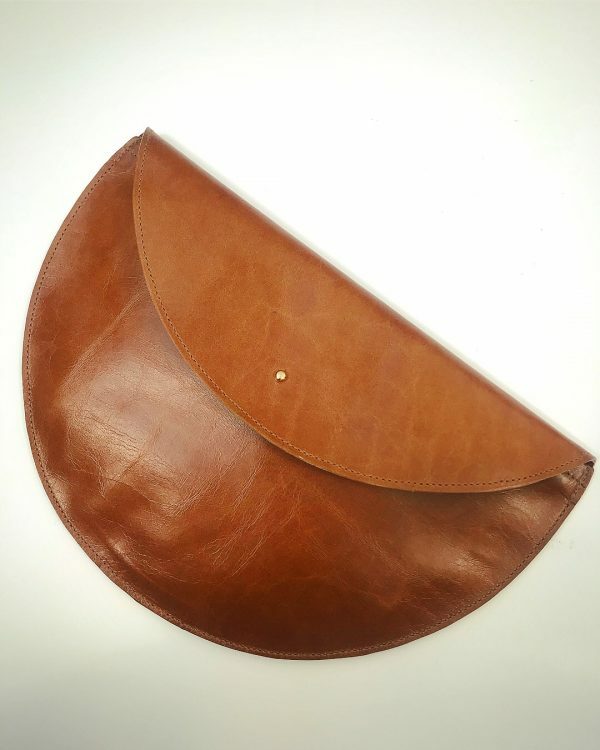 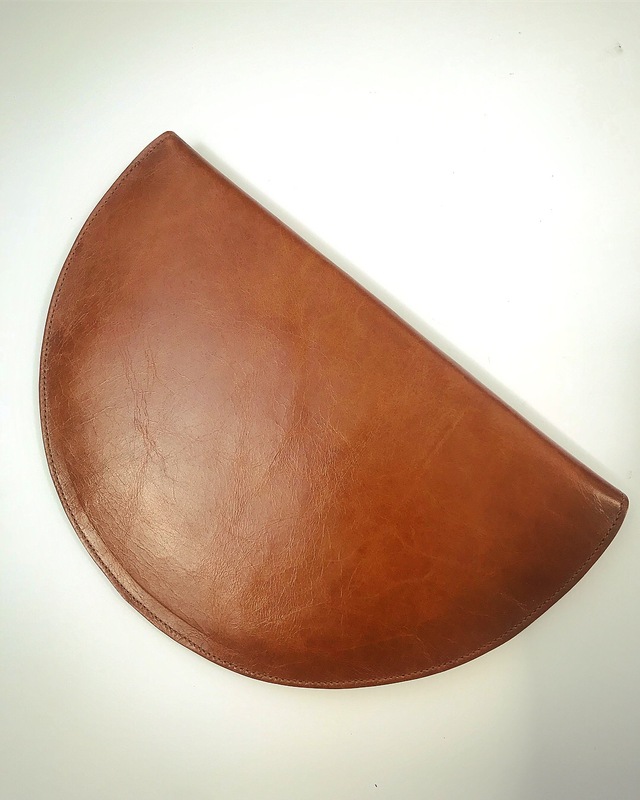 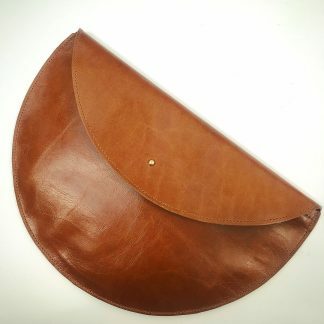 This Circle Clutch is cut from a complete round shape which is then doubled and folded to create this simple shaped bag. 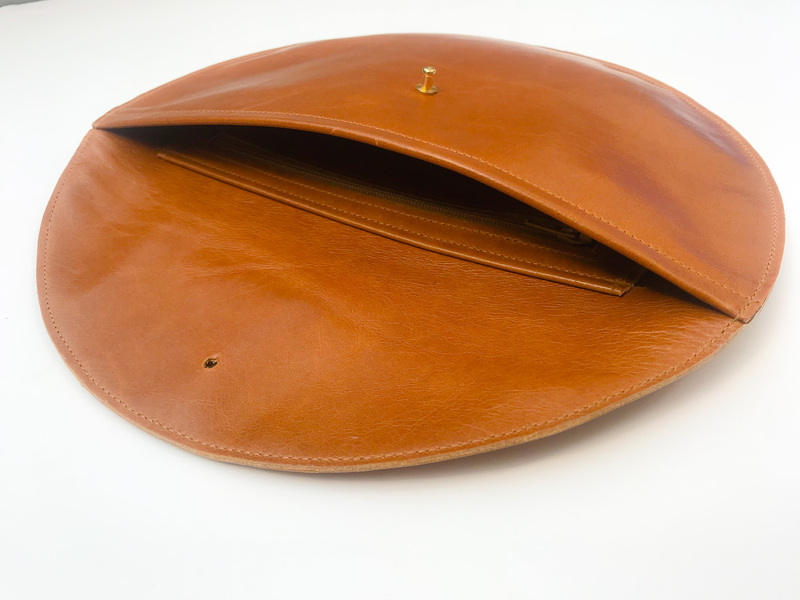 It has a zipped pocket in the back and is fastened with a stud in nickel or brass to complement the leather chosen. 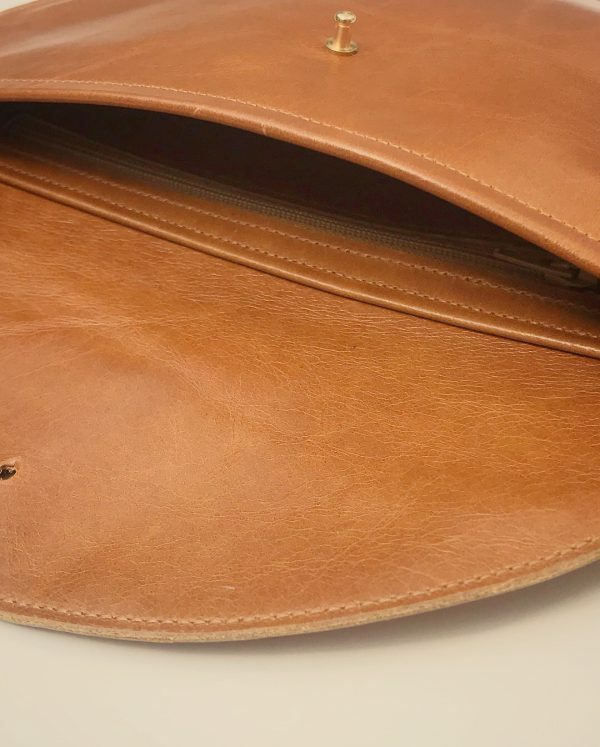 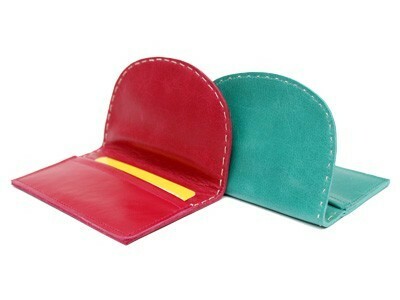 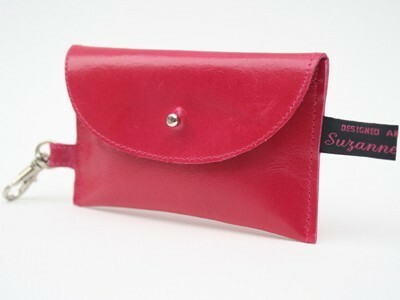 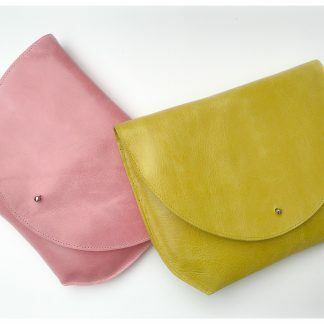 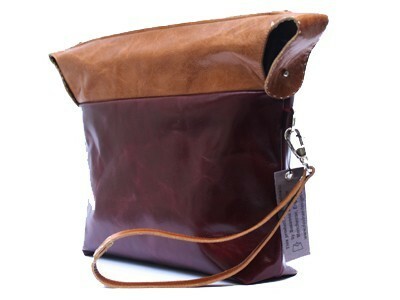 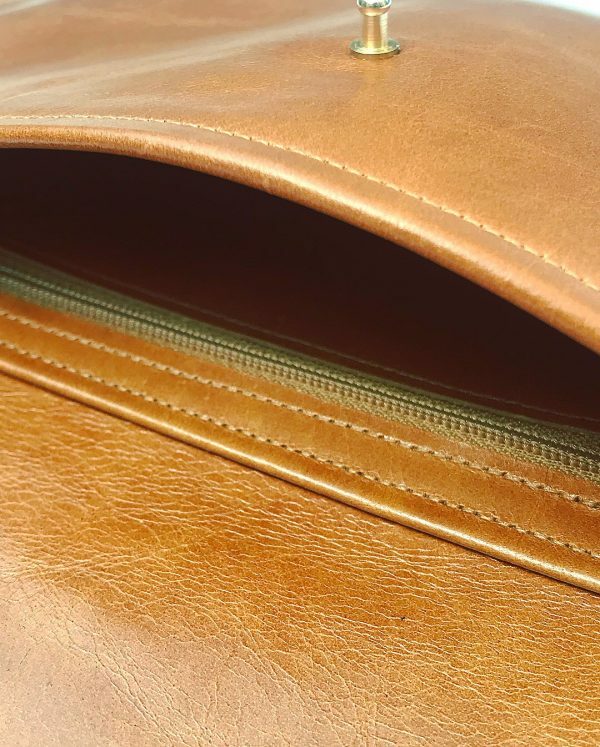 It is an elegant and handy size for any occasion and available in all the cow hide colours listed.